Skirts- 2 Hits and a Miss! 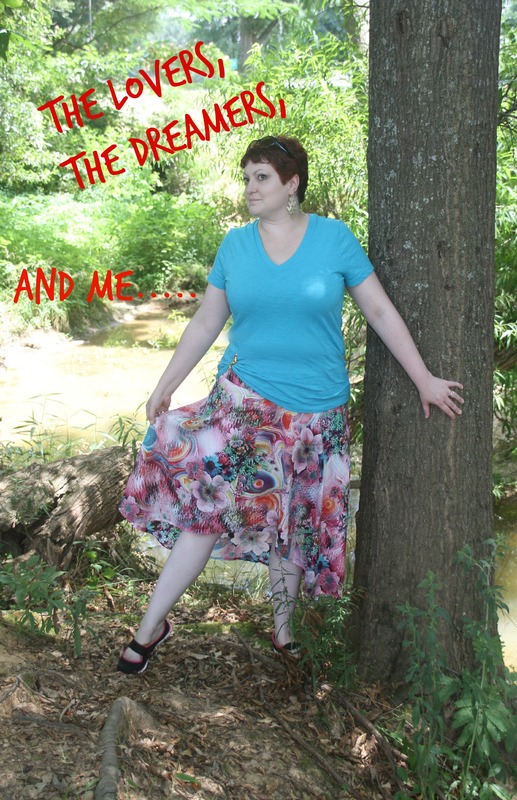 Ever summer I pompously declare it the ‘SUMMER OF SKIRTS!’ I picture myself (you know I do that alot- like a shallow Wanda Mitty, am I) in a wheat field slowly meandering along, the wind whipping my long flowing hair and my very flattering long skirt. I don’t know where this wheat field is. It’s not in town- there is a really long aisle in the plant section at the Home Depot. Maybe I can improvise. Anyhoo- i never seem to get to these lovely ideas. So I’ve been collecting skirt patterns and last week I made 3! The stashbusting fervor has hit me too. 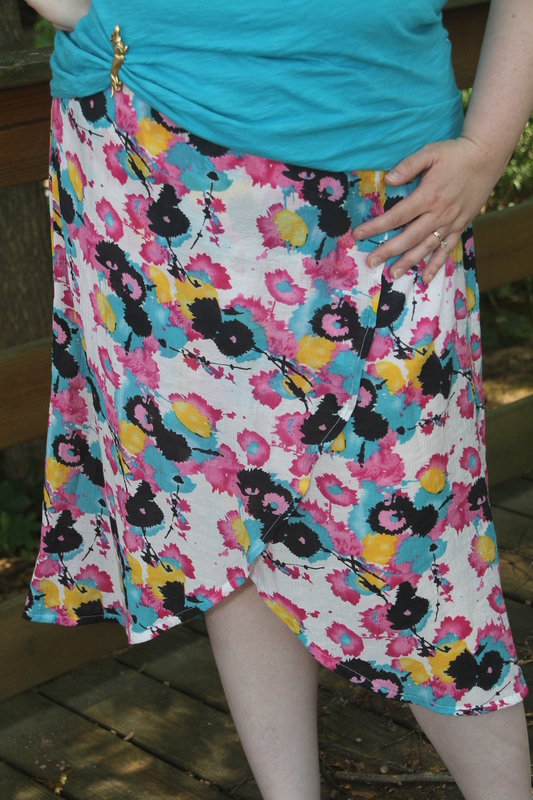 Just simple, summery skirts- you know I like it plain. I loved making Simplicity 1662 so much- it went together zip, zip- I chose View B in a strange gauzy business from Fabric.com. I didn’t change a thing. Somehow in my urge to get a nice shot of the front crossover, I didn’t get any full-on shots. Enjoy my lower areas and special dachshund pin! This fabric is very sheer- I’ve been wearing it with some footless tights, but it was as hot as stink outside today. Are those gams translucent or what?! You know I like to strike people when the iron is hot……or something like that….so I made Simplicity 1812- View B. A very hypnotic print from Mary Jo’s in Gastonia. Psst- I have a tunicy business coming up soon with a red stripy contrast fabric- take your antacid before reading that post! No changes- this pattern earns no tutorial- just a hug from me. The models shoes look almost orthopaedic, don’t they? I’m so one with nature- don’t I look like this is my native terrain? Its actually behind our recycling center! With such loveliness flowing from the Vault of Textile Hoarding, do I go for 3? Do I risk it? Yes, I do. With less than adorable results. Enter Burda 7002- the Candy striped Pirate Wench. So doesn’t View B look like it maybe even comes with its own wheat field? I was not seduced by a tiny waify model- I chose a plus pattern- I chose a lightweight fabric- I followed the rules. Lets talk about this fabric. It isn’t me. It’s oxford cloth. I bought this thinking I could use it as a neutral and just never warmed to it. I made a Vogue top with the rest and it looks like grandpa’s jammies- it will never see the light of day. Moral of the story may be that you can’t change a gaudy leopards spots. Whoo- you know you can’t spell ‘flattering’ without ‘F, A and T! But I digress- lets look at a big girl in a balloon valance, shall we? I can’t decide what that waist business wants from me. Folded, unfolded, hiked up like a swimsuit cover, it’s just not so cool. Like I need more midsection attention? What can we do to save this? Does my housekeeper need new wash rags? No, it’s too soon for that. How about if I just release the side business and hem it to my wheat field walking length? I’d appreciate any comments on saving this tormented textile. 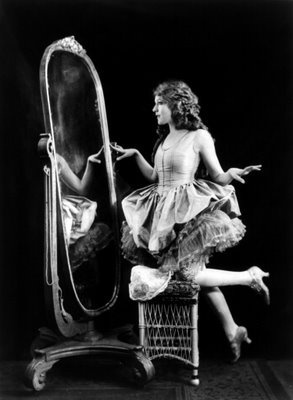 Here’s my 1890’s girl workout wear shot- a perfect outfit for subtle, modest calisthenics! Stretch with dignity, girls! Always end on a flattering shot, right? photo credits: pattern review, google images, meadhawg. All images remain the property of their original owners. Wow, you have been productive! The skirts look great, and the stash must be weeping. And the dachshund pin is wonderful. Keep up the good work! Also, no alcohol? Who would want to be there? Id hate the other fabrics to die of loneliness…uh oh! For me it’s always the ‘summer of dresses, I’m going to make one for every day of the week!!!!! Blah blah blah. But bully for you, you’re on your way to a summer of skirts! I must get away from my baggy cargo capris that make me look like Eyeore! I actually like the Burda skirt on you! I think it is fun and quirky. I’m so jealous of all of the skirt sewing that you have completed. They all look beautiful. I like the style of the Burda skirt on you, it’s just the fabric that is the problem…interesting ly, it is winter here and I am currently wearing a flannel pair of pjs in almost the same stripe!!! As soon as you started saying “1890 ‘s calisthenics”. My head followed up with “one grecian urn”…except you’d need some kind of outrageous hat if you wanted to play the mayor’s wife. I think you should let the side loose on that last one and hem it off long. I like the stripes, but they don’t seem to be amenable to being draped. The other skirts are perfect. It is urn wear! I love it! Love the first two but the last one…find a skinny girl and let her wear it as a tube top with attached skirt. Have to be brutal…it is not you! Even if you changed the rumpled gathered wide waistband into something just folded under and flatter, the lower fabric is shouting Grandpa. The lower fabric would also be a nice donation to your local American Sewing guild where they make bibs for nursing homes…sturdy and indestructible oxford cloth…perfect. I think the third one is worth saving…try hiking the waistband up to the smallest part of your waist, and ruche both lower sides of the skirt so there’s more happening there. I will try pinning it up that way- good idea! Loving those first 2 skirts – so much so that I want to break my skirt patterns out from under lock and key (the last skirt I made didn’t suit me at all. Didn’t blog about it as it didn’t even have a top I could wear with it and the remote tribal look doesn’t suit me at all!!). About the 3rd skirt. Hmm – you know – that fabric just doesn’t suit a skirt at all but you know I think it would look great as strides – maybe some funky capris a la B5614 or some in trend patterned long pants as per Katherine Tiltons B6028. I think the stripes are definitely channelling pants not a skirt. I totally agree. And Always — enjoyed the post. Come on, skirt up Ladies! Pants! Terrifying! But a very reasonable idea.. I agree with BeeJay. I think the striped fabric belongs in a narrow leg capri. Love the first 2 skirts. You wear them well. Hmm- this pants thing keeps getting more interesting…. Go the pants for skirt 3. Skirts 1 and 2 are you. Ah, yes sunday in the south… There is one Bi-Lo near us that sells booze on Sunday and you should see it. It is a packed out madhouse! I absolutely love the first wrapped skirt. That is some seriously cool fabric. And they psychedelic fabric in skirt number two is pretty cool, too. There is something about the last skirt that I really like. I think you need to fiddle with it. Don’t give up on it. I definitely like the waistband folded over, but I do have a hard time wearing those yoga type waistbands, too. Sometimes I feel like they are too tall. On the cover its unfolded- she must be 18 feet tall! Do you have the locked screens over the beer at other stores? That just looks so funny to me…. I really love the first two skirts! That simplicity pattern is just awesome. You should make more of that one. Sorry about the wadder…they can be so trying! Such a lot of fabric to wad! I LOVE the shape of the first skirt, but they all look great on you! That 2nd has a lovely flat yoke that lays so well- no elastic bunching! I agree, two hits! and colorful always looks good to me so I am on board. But how else to get those bottles ready for recycling? Is drinking at the recycling center what the young rascals do? Is it a thing? It is a perfect heating pad cover- I hope your hand improves! 3 is just tempting the sartorial gods! Doesn’t the third one remind you of an ice cream Sundae, with raspberry ripple and grape tutti? Maybe just lop a foot of the bottom? Isn’t it nice to sew when the weather is so good that you can get straight out into the parking lot and photograph it? Maybe thats what drew me! Soft edible colors- it needs lopping, for sure! Hey, how come I’ve never seen you in that wheat field?! I spend much time wafting about there. Anyway, love your first two print skirts, perfect for the print crazed girl about town. Not in love with the pink stripe skirt – only because I think the fabric is a bit “meh” compared to your usual colour pop fabulousness. Its so neutral…..thats like a curse, isnt it? One day we will run smack into eachother in that field, im sure! Summer of skirts alright! There are three months in summer so even if there are no more you kinda got this one nailed. As always, I lead with excess! I want more! Well June, July & August combined make up 92 days – is that enough? We stay pretty toasty in the south- Winter clothing is almost a style choice rather than a necessity! Much the same here for all bar a few weeks. It’s rather cold now… about 20 degrees during the day. Its not a bad average, I suppose! Join me for calisthetics? 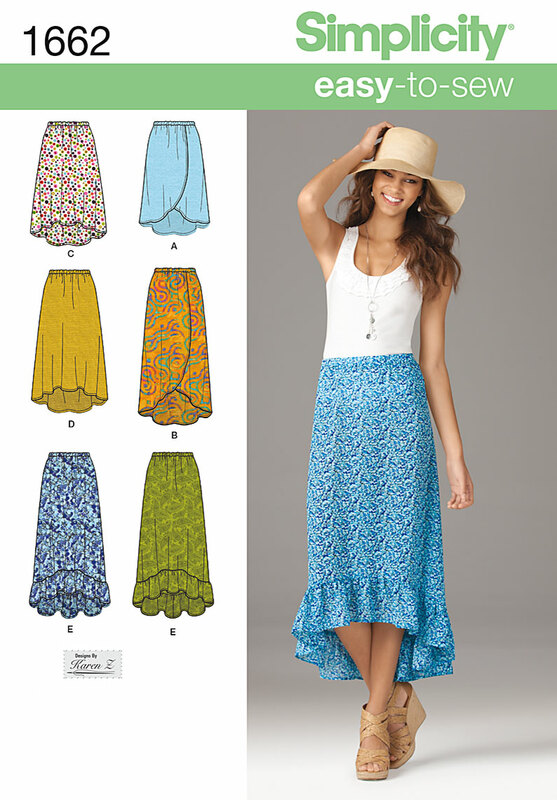 Love your pattern and fabric choices on the first two – hi-low and angled skirts are the bees knees to me 🙂 And though I do love me some pirates, I agree with you about the third, not sure what to do with it. Maybe I would give it to my dogs as a dog blanket? If you insist on saving it, maybe tack up a few more pieces and make it a little more bunchy? Way to be super productive! Use it for smuggling perhaps? We can all get into a matinee cheap now! Hey, you can always repurpose the pink skirt for drapes! 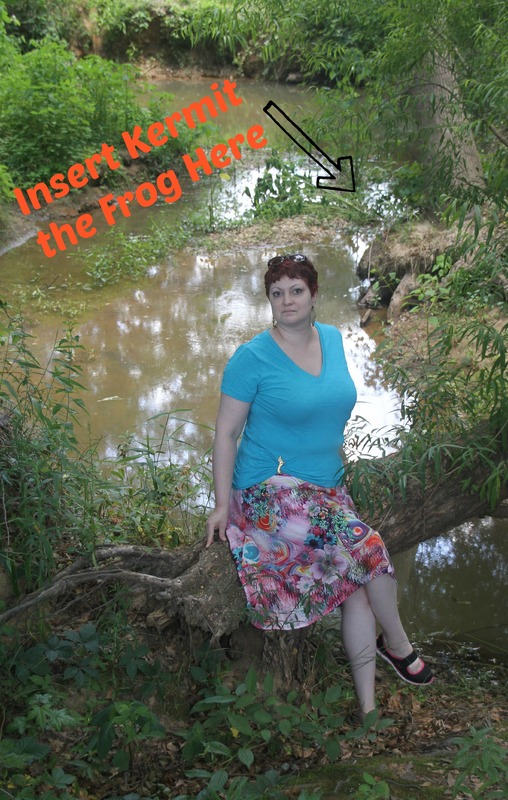 I think you should definitely make the top from Simplicity 1812 – it’s super cute! The first two skirts are fabulous!! But the third one…well, I think getting rid of the weird poofy part will go a long way. And I’m not sure what to think about the waistband, maybe you can figure out how best to cut it down to a more reasonable height? I am having too much fun dipping into the closet ‘o plenty! I love the first two – all you need is ANOTHER opinion hmmm? 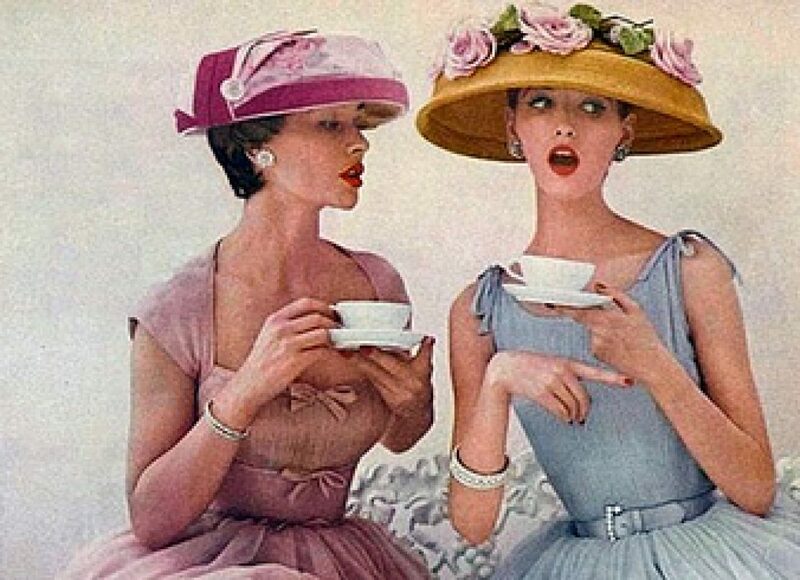 But the last one reminds me of the time I came out of the “ladies” room with my skirt bunched up into my undies! You know- thats how it felt too! I kept sensing that it was hitched up and I futzed with it more than a strapless bra!? She will be getting an overhaul! Its good to get some stash busting going, very cathartic with the added benefit of freeing up some space for more, win win! I’m with you on this, lovin skirts 1 and 2 both look great on you and who doesn’t love a dipped hem and lovely fabric choices. Number three could be fashioned into another number 1? Looks like there is plenty of fabric there, so all is not lost. How nice of the townsfolk to let you divert the traffic to allow for your photoshoot. On sunday afternoon everyone is on the lake or watching the Braves, so it was perfect timing for foolishness! I like 2 out of 3. 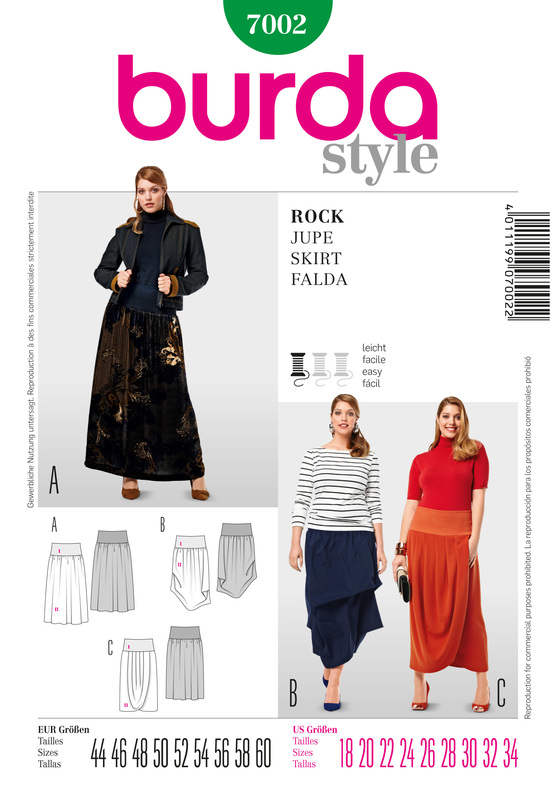 The Burda skirt is interesting, the other two are truly more flattering. Love the post, gave me an early morning laugh!! Burda can be friend or foe- you just never know which! Love the first two and you are right, the third would enjoy life as a pair of fun capri’s I’m sure. You know, I don’t know about anyone else, but lately when I scroll down to read your blog, a lot of the wonderful witty text gets lost in the flower and vine header. Did you change the way your blog works a few weeks ago? Its a work in progress! When I bought the domain things got harder! I think she will return to beige readability! Wooo! Girl. You are on a roll. Love the skirts. Even the last one is not bad. It just looks like it has a bad case of static cling. If you, like you said, just release the side business and hem it to your preferred length I think it will be lovely. 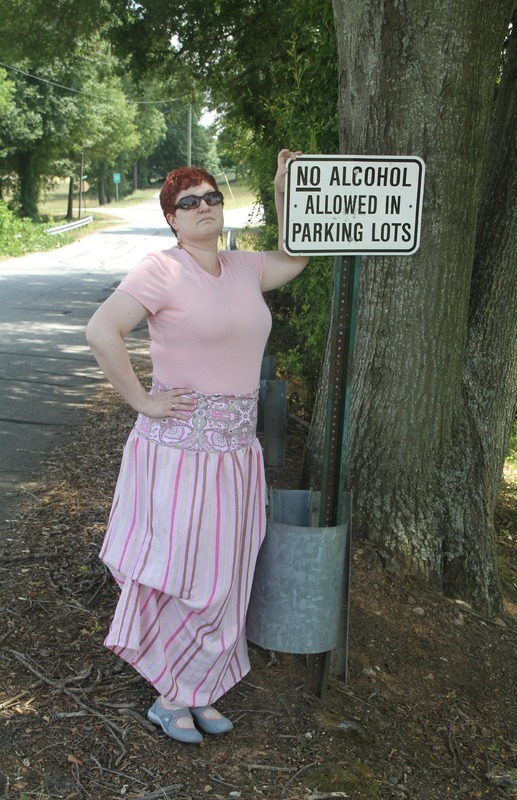 I could fit Meatloaf in my pink skirt! I think its the fabric- its so….pajama! I want to see you skirt up now!! Like the first two skirts a lot. Not so sure about the pink. BTW your dachshund pin rocks! That 3rd skirt is about to be dismantled for scrap!